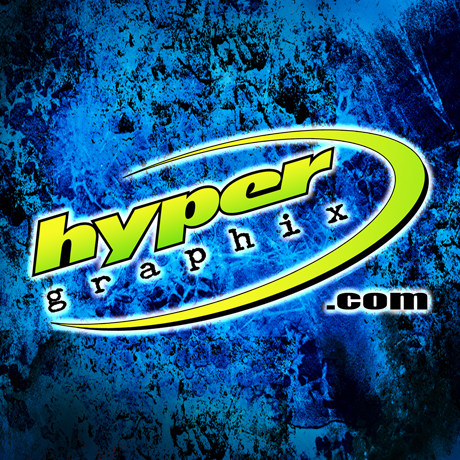 Hyper Graphix began life back in 2003 as a small company named Spectra Custom Design & Sign. The name Spectra stuck around for about 6 years, but as time wore on, so did the awful name. Something had to be done to make the name shorter and more memorable... Viola, in 2009 Hyper Graphix was born!! We are still a small shop, family owned and operated, but what we lack in size we make up for with honesty and reliability. 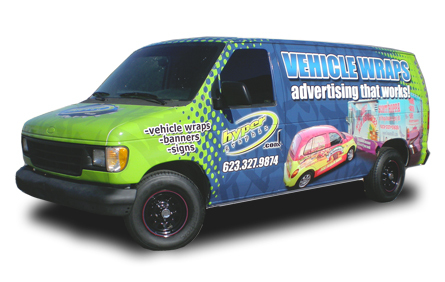 In Arizona, we operated out of a 2000 square foot facility, where we produced mainly banners and vehicle graphics. Now we are a home based business, located near Atlanta, GA.
"Why the change", you ask? How can you go from a large production facility in Arizona, to being home based on the opposite side of the country? Well, for the same reason we went from Spectra Custom Design & Sign to Hyper Graphix... it was time for a change! This time, the change was necessary so that the owner of the company could attend school to fulfill a dream of becoming a Chiropractor. As a full time student, he still manages the day to day operations of the company, but now on a part time basis. We want to thank all of our very loyal Arizona customers for their continued support since we have left. We are amazed at the loyalty that you show and hope that we can continue to work together over the years. We will be in Georgia until mid to late 2016, at which time we plan to move back to AZ, open a wellness center and continue to operate Hyper Graphix as well.